Home Automation Rhenus Contract Logistics Introduces AutoStore Systems Powered By Swisslog. 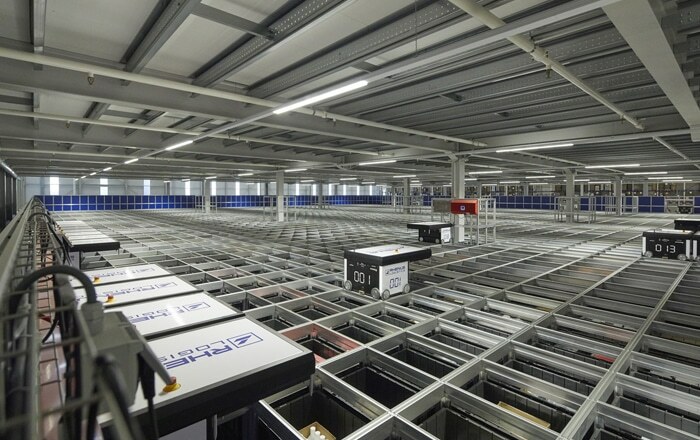 The construction of the sustainable logistics centre and the introduction of the AutoStore system are part of Rhenus Contract Logistics’ growth strategy. The logistics service provider chose this method of order storage and picking based in part on the type of customers it serves. The AutoStore system assists in further improving the accuracy of its ordering picking and in fulfilling the customers’ growth needs through optimization of continuity and quality. The AutoStore system has a surface area of 1,000 square meters and is equipped with 21,000 containers, 19 robots, two infeed and three order picking ports. This way, Rhenus Contract Logistics can serve more customers thanks to the AutoStore system. The automated order picking and storage installation is integrated with both the Warehouse Management System (WMS) and Transport Management System (TMS) package of the service provider with weighing and measuring scanners also integrated.